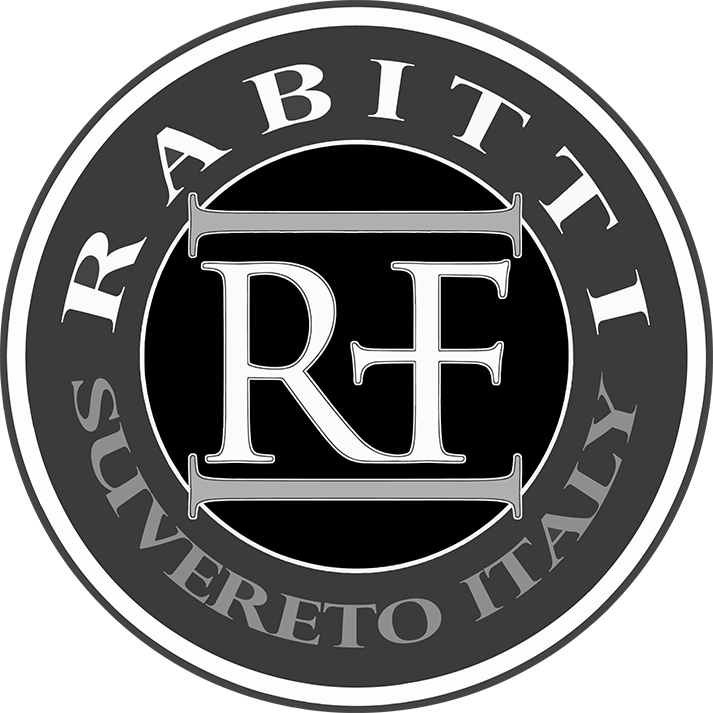 Currently our wine is divided into two types, both certified I.G.T. Tuscany. 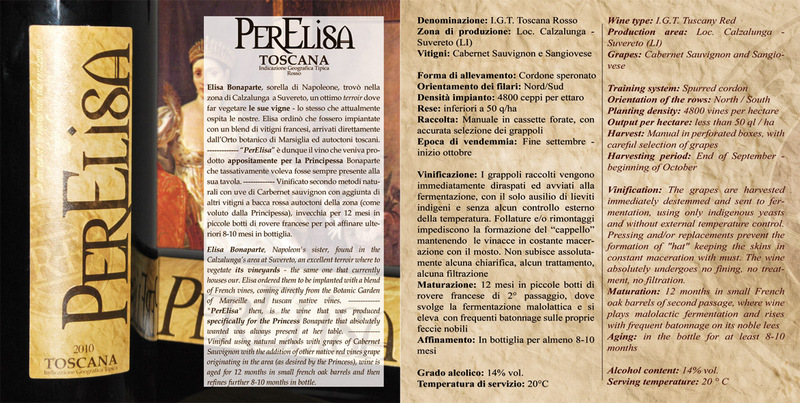 PerElisa, a red wine coming from the selection of Cabernet Sauvignon and Sangiovese and Orofino, the white wine made from grapes of Tuscan Trebbiano and Malvasia. Elisa Bonaparte, Napoleon’s sister, found in the Calzalunga’s area at Suvereto, an excellent terroirwhere to vegetate its vineyards – the same one that currently houses our. Elisa ordered them to be implanted with a blend of French vines, coming directly from the Botanic Garden of Marseille and tuscan native vines. “PerElisa” then, is the wine that was produced specifically for the Princess Bonaparte that absolutely wanted was always present at her table. Vinified using natural methods with grapes of Cabernet Sauvignon with the addition of other native red vines grape originating in the area (as desired by the Princess), wine is aged for 12 months in small french oak barrels and then refines further 8-10 months in bottle. 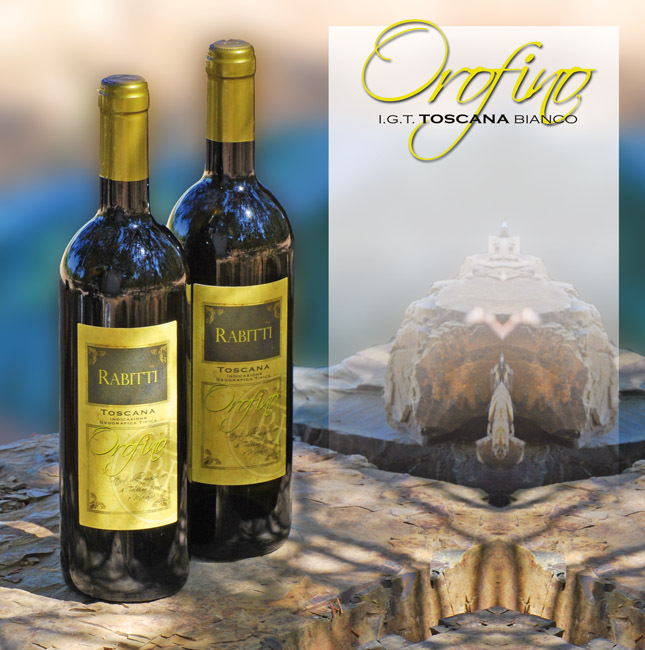 The wine born from rediscovery ofold vines (40 years old) and an old cut initially created to give rise to the Tuscan Vin Santo (Malvasia and Tuscan Trebbiano).